RapidFAX combines the utility of fax with the ease of email to meet the needs of the small office and home office. 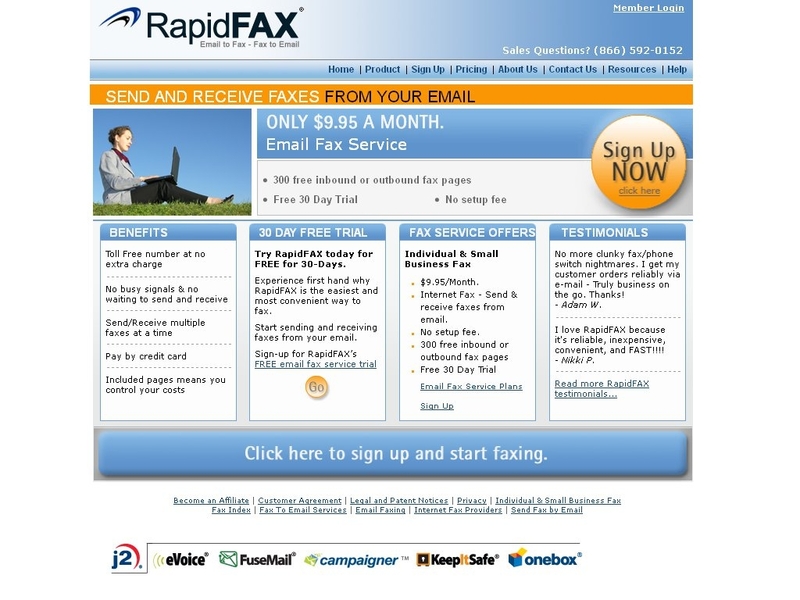 RapidFAX was an early pioneer of online fax services and a company that now serves tens of thousands of customers online faxing needs every day. We are committed to providing online fax services that not only helps preserve the environment by saving paper, but also save you time and money. If you use or have used RapidFAX in the past, please share this page using the buttons above and be sure to leave a rating and review of the service so other people can make an informed buying choice based on your experiences! It's free and you are not required to register! If you have experience with RapidFAX, we kindly ask that you please share your thoughts with others on this website by submitting an honest, detailed review. Your feedback will help prospective clients decide which service provider to choose and is incredibly valuable to the community itself as well as RapidFAX's representatives that read this website. Please do not use this form for support inquiries. Be aware that these reviews may also be syndicated and displayed on RapidFAX's website, and as such a strict review policy is in effect. All reviews are moderated prior to being published, and reviews that do not contain concise, detailed comments or do not support their associated ratings will not be published. We urge you to be as detailed as possible when leaving feedback, as RapidFAX may also use this information as feedback for their business and are themselves encouraged to reply to reviews posted to their listings. RapidFax is a great concept; however, there are many server issues and the customer service is subpar.